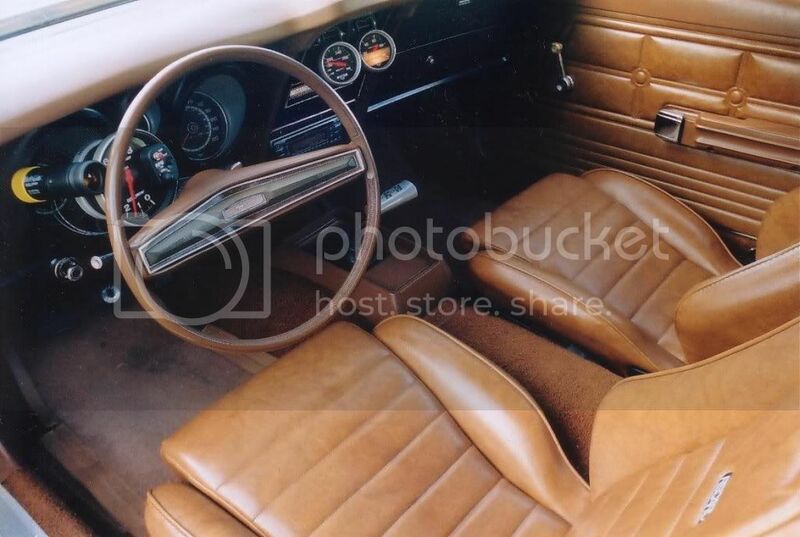 Where would the best place be to mount some aftermarket(Sunpro) 1 5/8" gauges on a 73 Mustang that had no gauges, just idiot lights. The only place I can find is to either drill some holes in the panel left of the headlight switch or to mount them on a pod beneath it. Anybody have any suggestions. I would buy the center pod with the gauges. Untill I got all the wiring correct for the originals, I just mounted some after market 2" gauges in the original pods. Looked very factory and I didn't have to drill a hole. X2 on the center pods. I got a used one from Don and mounted them. Cleaned up the dash real nice. 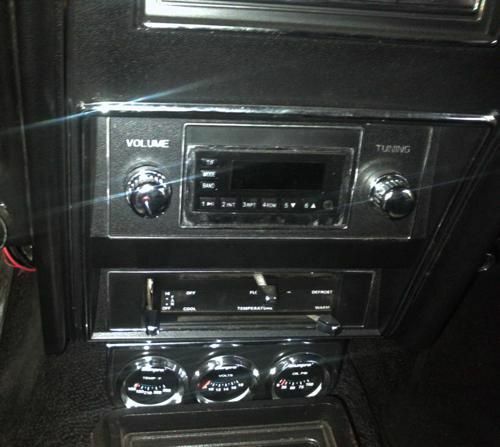 When you cut the emblem out on the center dash does the gauges interfere with the AC ducts??? 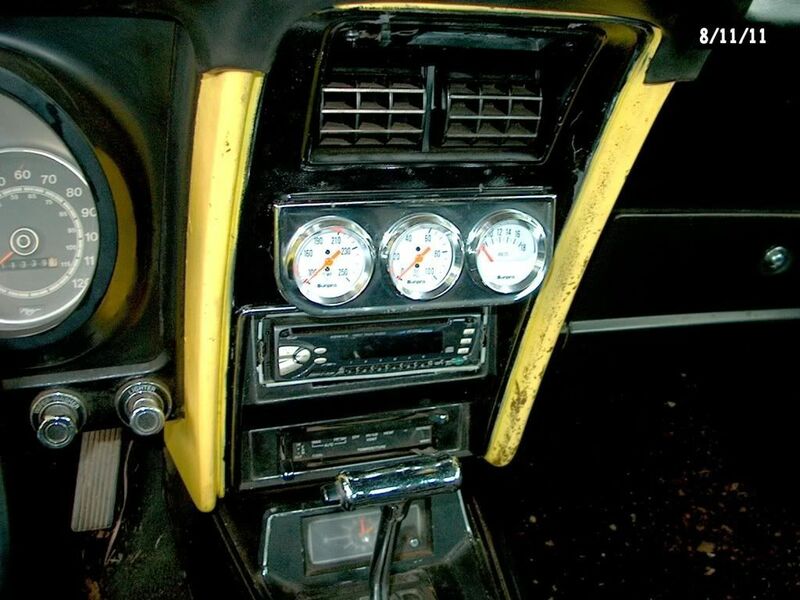 BTW: I use to have two center dashes with the gauges but I sold them on ebay years ago, doooh!!!!!!! I bought mine on eBay a few years back. Might have bought yours! I've bought so much for my cars on eBay. I'll get a picture of mine today. 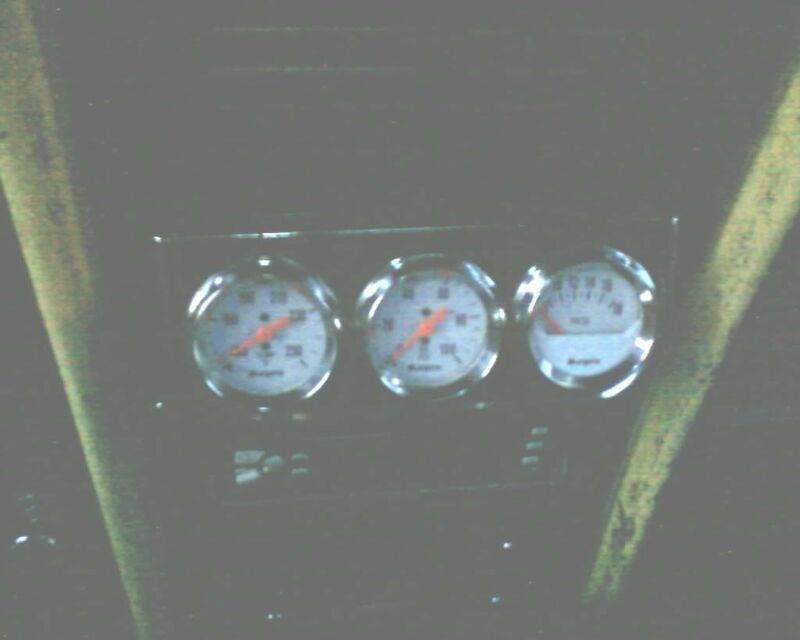 Mine are mounted inside the original gauge pods so they look original. Did the original gauge pods here too. Looks better that way I think. Not a great pic buy you can get an idea how I did mine. When I bought my new centre console bezel I made a choice to keep the standard basic bezel instead of the instrument bezel because I really liked the look of the Mustang badge on there. So I put my Sunpro gauges under the centre stack where the Sunpro gauge bezel is held in place by friction. I wrapped pvc tape around the top lip of the gauge bezel first so it wouldn't scratch the console bezel as I was sliding it in.